This article was written by Lily Rothrock. Lily specializes in marketing strategy and web design, helping her clients tell authentic stories that connect with their intended audience. When she’s not online, you can find her enjoying the beauty of Northern California, organizing community events in Chico, CA, and drinking tea with her cat. I grew up with Neosporin, Benadryl, and Tylenol. I didn’t discover herbal medicine until I was in an urban gardening program in college, when I was introduced to the medicinal properties of weeds. The more I explored the world of plant medicine, the more I started to question the world of pharmaceuticals. Don’t get me wrong, modern medicine has brought us wonderful things (such as hand washing and life-saving surgery), however, if you’re concerned about eating a clean diet, wearing sustainable clothes, and using natural products in your beauty routine, then you might also want to take a second look at your medicine cabinet. Similar to the food and fashion industries, there are ethical and environmental implications to buying pharmaceuticals from big corporations. Many utilize exploitative marketing and pricing techniques, and the supply chain behind medicine is complex. As with food and fashion, one of the best ways to ensure you are supporting an ethical and sustainable business is to simply look for the little guys, the local businesses, and the natural, DIY remedies available to you. 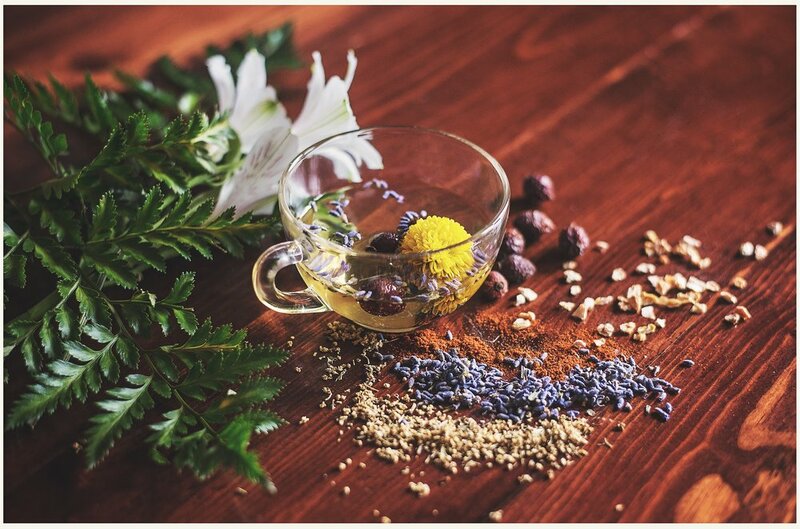 Here are the 5 herbal remedies that I use on a regular basis! Lavender is a powerful plant ally for calming, soothing, and restoring. It’s versatile — I use it every day for some reason or another. A little bit of lavender essential oil dabbed on the temples or inner wrists can offer relief from a migraine, calm anxiety, and soothe insomnia. I also love its smell - lavender makes a great addition to a homemade cleaning product or as a quick-fix replacement for deodorant. Lavender also has anti-bacterial and anti-inflammatory properties, so it is a great medicine for minor burns (Shea Brand’s lavender blend works wonders on a sunburn - use code SUSTAININGSHEA for 10% off), bug bites, cuts, and scrapes. I also use it to invite a meditative state in my daily wellness rituals by dabbing a bit on my third eye and crown, especially right before bed. Neosporin, Benadryl, sleeping aids, and deodorant. My favorite lavender essential oil comes from Lavender Feels Forever, a small, woman-owned company in California, where they make everything by hand in small batches. Fire Cider is vinegar that’s been infused with powerful plants like herbs, onion, garlic, cayenne pepper, ginger, and horseradish. It’s my secret weapon to defeat a cold before it takes hold of my life. I drink a small shot of Fire Cider whenever I feel like I might be getting sick (if I have the chills, a scratchy throat, or a runny nose). Think of this powerful tonic like a warm fireplace in a bottle that will give your body what it needs to fight off a cold. 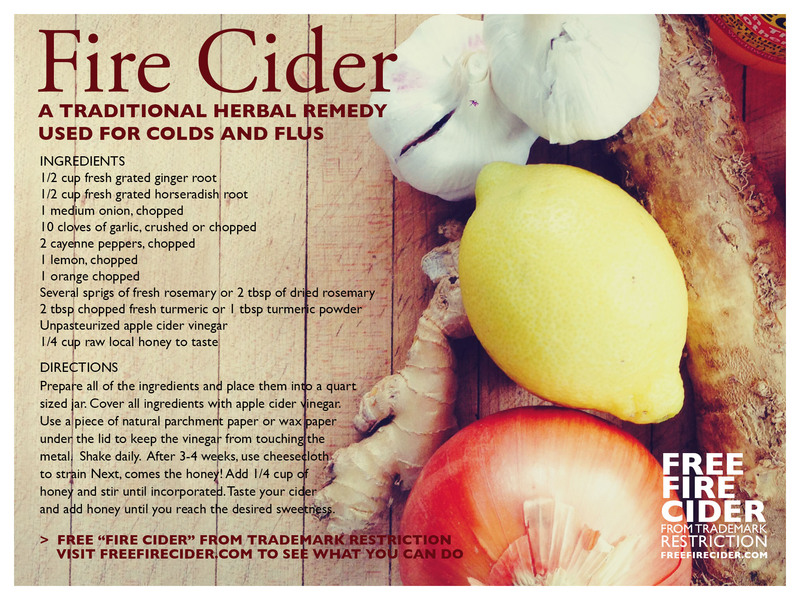 Fire cider is one of the easiest remedies to make at home since all of the ingredients are readily available at most grocery stores. This easy recipe by Free Fire Cider is a great how-to, and for those who learn more visually, you can check out this demo on YouTube. For more recipe inspiration, check out these two recent posts from some of my favorite herbalists @wildearthbrews and @westcountyherb in Northern California. There’s a boycott on this popular brand because they trademarked the term “Fire Cider” and have made it nearly impossible for anyone else to sell this traditional herbal medicine under its actual name. Which, amusingly, has prompted many creative names from small herbalists trying to avoid a lawsuit, including my favorite, The Cider That Must Not Be Named. Elderberry syrup is not only a powerful long-term boost to your immune system, it’s also super yummy! Elderberries are the powerhouse behind this remedy, packed with Vitamin C, antioxidants, as well anti-viral compounds that help you fight off infection, so you’re less likely to ever catch a cold. I take this as a daily supplement in cold and flu season. It helps strengthen the body’s long-term immunity, so taking it regularly means you are less likely to catch something should you be exposed. The overall immune support also means that elderberry syrup can help fight off an existing sickness more quickly. It also makes a delicious topping for pancakes! If you live somewhere that elderberries are readily available, you can easily make your own syrup – this is a great recipe to follow. If you prefer to purchase pre-made elderberry syrup, you can pre-order my favorite from Mythic Medicinals, grab one from Gaia Herbs, or find it at your local natural foods store. This leaf is a natural pain-killer that doesn’t mess around – it has been known to be used for everything from chronic pain to headaches to menstrual cramps. The potency of this plant medicine is so strong that it can be a game changer for patients with cancer or chronic illnesses who experience a lot of pain. Strangely enough, the plant’s potency has also caused it to become popular with teenagers looking to get high. Remember that this plant is really potent; so always start small and work your way up. I usually start with 1 teaspoon mixed into a cup of water or juice (since it has a strong, bitter taste) and never mix with substances like alcohol or pharmaceuticals. This is my go-to remedy when I’m experiencing bad cramps. Advil, Tylenol, Midol…any painkillers, really. 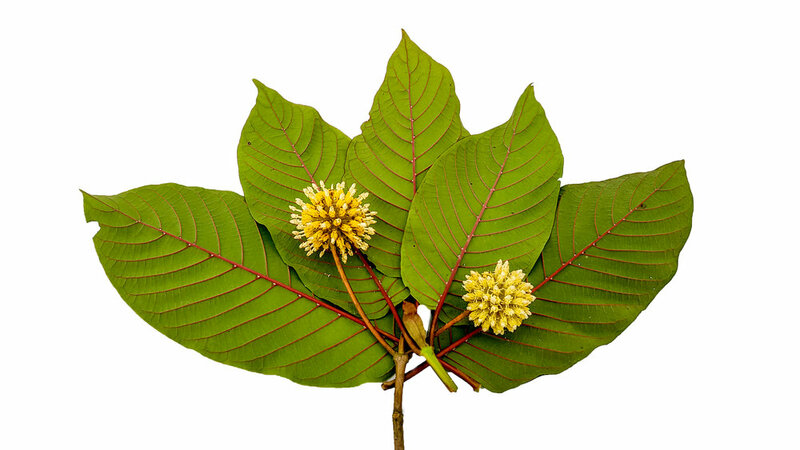 Unfortunately, buying kratom can feel a little bit shady, as it hasn’t quite hit the mainstream. It can be found at headshops (alongside things like salvia and spice) but I wouldn’t recommend you get it there unless you know and trust the brand name. This trusted online retailer offers a fair price and more education around the plant. Digestion teas help with bloating, gas, and constipation. They stimulate the production of enzymes in your body that are needed to process a meal. 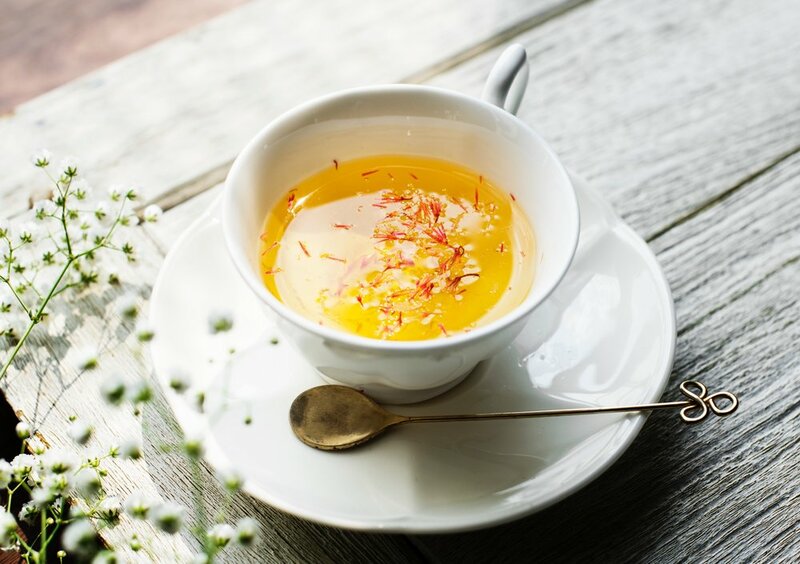 Digestion teas usually contain bitter herbs like chamomile, milk thistle, peppermint, and dandelion root and are supplemented with other digestion-friendly ingredients. Digestion tea is more potent when taken unsweetened, as the bitter flavor actually contributes to the stimulation of your body’s digestive tract. I indulge in this aromatic ritual after dinner and before bed, to help wind down from the day. I also drink digestion teas whenever I’ve eaten a particularly heavy meal or an ingredient that I know my body doesn’t digest well in the first place (cheese, anyone?). Mint, ginger, and fennel are very common digestion-supporting herbs that you can easily infuse in hot water to make your own brew at home. My favorite blend of digestion tea is this organic loose-leaf Happy Tummy Tea by Mountain Rose Herbs (actually, I love all of their organic, high quality, and fresh herbal products!) that is filled with spearmint, lemongrass, calendula, rosemary, and fennel. If I’m out of the Mountain Rose blend, I usually brew my own digestive tea with ginger, mint, fennel, and lemongrass.